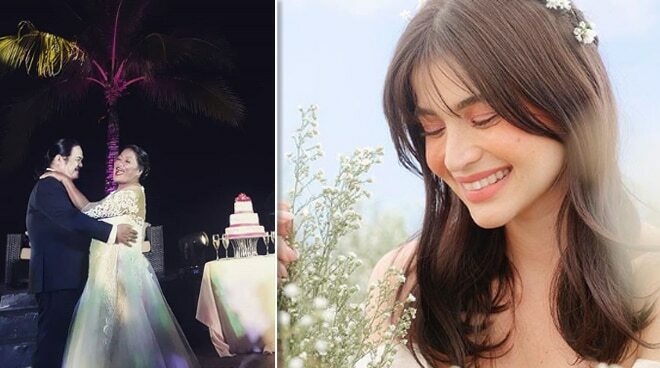 Anne Curtis made a few people’s dreams come true again, this time it was a couple who wanted to get married. The actress is known for granting wishes through her Dream Machine Organization. On Instagram, Anne shared the story about the couple to whom she gave a wedding they have always dreamed about. "I’d like you to meet Marlon and Marlyn. Tomorrow, I am given the opportunity to make their dream come true and give them the wedding they’ve always prayed for but never had the chance to make it happen. Thank you to their daughter, Mary Fe Bandelaria for sending in the letter that touched not only my heart but everyone that is part of @dreammachineph," Anne posted on Friday. She added, "It is through God’s grace I am given this opportunity to give back. I can’t wait to see everything come together tomorrow and for all of you to hear about their touching love story. #DreamMachineWedding." The actress traveled to Albay on the weekend to witness the wedding unfold before her very eyes. "Can’t wait to share all the gorgeous photos and videos of Mr & Mrs Bandelaria captured by @niceprintphoto @dreammachineph’s first #DreamMachineWedding was a passionate love-filled success! Our motto is all about #AchievingDreamsTogether," she posted after the wedding.